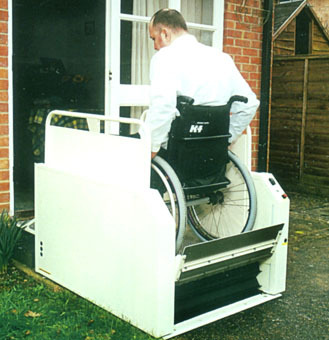 The Wessex Step Lift is a wheelchair lift that can be installed internally or externally. Designed to lift wheelchairs and powerchairs short distances, it effectively transcends architectural difficulties such as small flights of steps or a change in levels. 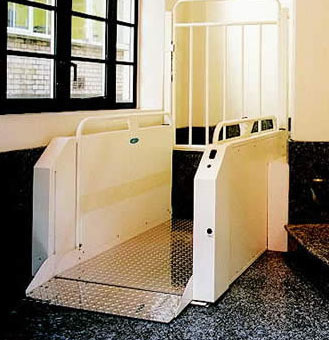 These wheelchair lifts can be installed alongside steps, or rise directly over them. It is able to safely lift up to 225kg and can be used for heights up to 500mm. The Wessex Step Lift features excellent safety features to ensure the safe and comfortable transportation of its user. For example it can be operated manually in case of a power failure, preventing a person getting stuck in transit. It has non-slip flooring, to keep the wheelchair steady and an interlocked safety gate. It is designed to be simple to use for all users of limited mobility. 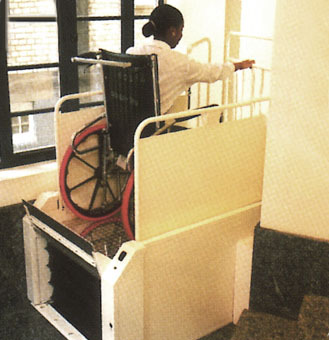 The lift has a shallow ramp for easy access, wide platform to accommodate all wheelchairs and powerchairs and easy to use internal controls. It also has a call station at both levels, delivering the lift at the touch of a button. 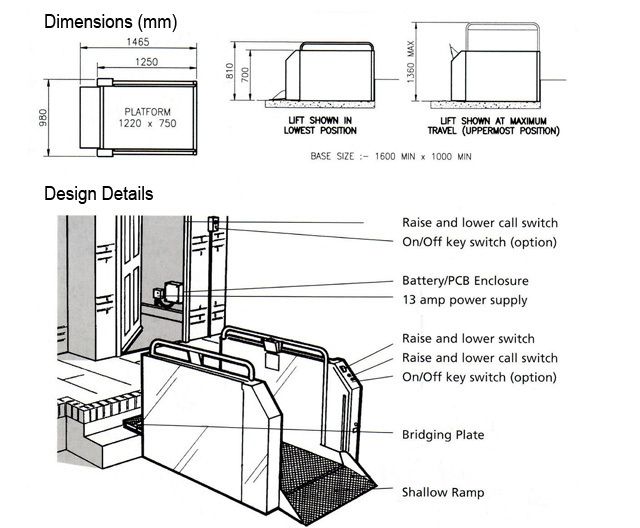 The lift is also designed with a concertina underside so that it is not damaged by any obstructions.